Inspired by comic books & super hero phenomenon, this NetEnt powered slot game ‘Wild Worlds’ is out of this world, literally & figuratively. 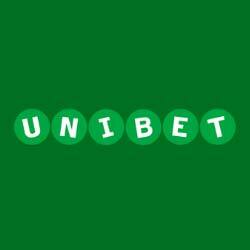 This is a 5 reels & 5 rows clot game that follows the cluster pays system to win. Moreover, it’s mechanism is based on the Avalanche Feature, which means that with each win match, you will encounter symbol drops, that can further start a chain reaction of multiple big wins. There are high payout symbols including a wild symbol that can win you 100x your stake (when 3 on a line), along with a scatter symbol, hero wilds, random wilds as well as other medium & low win payout symbols. The highest win is 2500x your stake, that can earn you up to €1,000,000 in winnings, when you place the highest possible stake. And, even though, this is calculated to be a medium variance & medium volatility slot, there are no lack of opportunities to win. There are superheroes, monsters, captains & huge bosses inside the game, waiting for you to spin the reels and save the world, whenever you manage to activate the free spins feature. Read this thorough review to know what all this slot game has to offer. You can even try the free demo version at one of the NetEnt casinos listed below, to know if you should only play it for fun or you can start playing it for real money. How to Play the Wild Worlds Slot ? Bet Level :There are a total of 10 ‘Bet Levels’ available in this slot game. A player can adjust the levels using the ‘+’ & ‘-’ icons on the slots panel. Coins : The ‘Coins’ section on the slots panel depicts the number of coins that are available for a player to wager. Coins Per Level : There are a total of 20 ‘Coins Per Level’ in this video slot game. Coin Value : The ‘Coin Value’ ranges from a minimum of 0.01, to the maximum value of 2.00 in this Wild Worlds slot game. Bet Value : The ‘Stake’ or ‘Bet Value’ ranges from as little as €0.20 to a maximum allowed value of €400.00. Spin :The ‘Spin’ button can be located in the middle of the slots panel. It is depicted by two rotating arrows. Click on it to spin the reels of the slot game at the current coin value and bet level. AUTOPLAY :The ‘Autoplay’ button is located at the immediate left of the ‘Spin’ icon or at the extreme left of the panel by the name of ‘AUTO’. A player can set the automatic spins from 10 to a maximum of 1000. A player can also go into the drop down ‘Advanced Settings’ Menu, to select when to automatically ‘STOP’ the Auto Play action. MAX BET : The ‘Max Bet’ icon is located adjacent to the ‘Spin’ icon on the right hand side of the slots panel. A player can, at any point of time, click on it to set the bet value at its highest level. Wild Worlds is a 5 reel and 5 rows Avalanche slots game with Hero Wilds, a random Destroy Feature, along with a Free Spins Feature that has its own Wild Features. The Bet Levels are set using the ‘LEVEL’ selector. A player can set the coin value using the ‘Coin Value’ selector. The MAXBET icon will play the slot reel at the highest bet level & the current coin value. All the payouts and winning combinations are made as per depicted in the pay table. Only the highest wins per win match are paid to a player. If a player manages to land at least 3 matching symbols in a row, may it be vertically or horizontally, appearing anywhere on the slot reels, it is considered a win. Simultaneous wins on different win matches will be added. The feature wins will be added to any win match wins. The RTP of this game is calculated to be 96.47%. A win match is, in a way, similar to a pay line. In Wild Worlds Slot, any vertical or horizontal line of 3 or more of the similar symbols is considered a ‘Win Match’. In this, a single column or row can contain more than one win for a player. These wins can overlap or intersect on the same reel or row. In the first glance, it looks like that Marvel has teamed up with NetEnt to entertain its huge audience, or maybe the time- travelling monolith brought us to a part of the universe where feathered birds are the new Agents of Shield. Well, whatever maybe the case, these superhero vertebrates are anything but simple birds. Don’t get fooled by their quiffs & feathers, for they are saving the world, while sitting in that high end office building. There are monsters raiding the city and it is upon us to spin the reels of this 5x5 game grid to power up the heroes, so that they can fight the boss. It’s all so fascinating & captivating, with a heavy touch of danger & thrill to it. The RPG type free spins round & the gory monsters protecting the boss are just the added bonus. Get ready for the time of your life with this Wild Worlds Slot Game. Wild Symbols : The Wild Symbol is represented by a ‘W’ Symbol etched in to a maroon- ish gem. They can substitute for all the reel symbols except for the scatter symbols. They will substitute for the highest paying symbol that is mentioned in the pay table. If 3 or more Wild Symbols appear on the reel adjacent to each other, vertically or horizontally, they will award a player with a win on their own, in addition to the other symbols on either side. Hero Wilds : They are represented by the Medium Win Symbols mentioned in the payout table. Whenever a player encounters a win on a Hero Symbol, all the reel symbols out of the winning combination, that are of the same type, will turn into wilds. Scatter Symbol : It is depicted by a pseudo wheel like symbol with ‘S’ written in the centre of it. The appearance of 3 scatter symbols, anywhere on the slot reel, in the main game, will activate the 8 Free Spins Feature. High Win Symbols : The Wild Symbol (represented by a W studded in to a Pink or maroon-ish gem) & a Black Gem with a Crown symbol on it. Other Free Spins Wild Symbols : There are other Wild Symbols in the game that are triggered when the Free Spins feature is activated. These are called Spreading Wilds, Random Wilds & the Heavy Wilds. Licensed & Regulated by the UK Gambling Commission, the software provider Net Entertainment, is responsible for the creation of this fun filled slot game - ‘Wild Slots’. This action packed game is proof that NetEnt is indeed one of the best casino slot game software providers ever. The game is filled with dangers, intriguing actions, a collaboration of never seen before game features & much more. Thus, further proving that NetEnt strives to provide slot games with high resolution, mind boggling graphics & bonus features to lust over. And it looks like, much to a player’s delight, NetEnt has indeed gone all out this time round. In the Avalanche Feature, instead of spinning, the symbols of the game fall or drop into positions on the slot reel. Moreover, whenever a win match is encountered, the Avalanche Feature comes into play. This means that, the symbols in a winning combination will explode & disappear, all the while leaving an empty space for a second avalanche of symbols to take its place in hopes of even bigger wins. This feature continues on until there are no more wins. In the Hero Wilds Feature, when all the Hero Symbols appearing in a winning combination have been destroyed, then the remaining symbols of the same type, that are on the reels, will turn in to Wild Symbols. This action will occur before the next Avalanche begins & will continue on until there are no more wins on the Hero Symbols. This feature can be activated in the base game as well as during Free Spins. Whenever there is a no- win situation in the base game, the Destroy Feature is activated at random. During this feature, all the symbols of only one color along with the scatter symbols will stay on the reels, while the rest of the symbols will be destroyed. After that, new reel symbols will drop with a new Avalanche in line. The Free Spins Feature is activated when 3 scatter symbols appear anywhere on the slot reels in the base game, activating 8 Free Spins for the player. These free spins will be played at the same coin value & bet level as the spin round that activated the free spins. After the free spins are over, the game will return to the game round that activated the spins. In this feature, a player encounters 3 Free Spins Worlds, out of which, a player can enter only one at first. Each of these worlds have their own features and monsters. When the free spins are in play, it charges the super hero meters, giving them the chance to defeat the monsters (i.e. the captains & bosses), using Hero Attacks & Hero Special Attacks. In terms of winnings, a player can win when damage is being dealt to one or more captains in the game. Hitting their weak spots will weaken them and in turn earn you big time. Defeating the captains will lead you to the boss fight & you can earn a super mega win if you defeat him. Moreover, defeating the boss will trigger another free spins world & 8 free spins and the process keeps on. Dark Forest : If you enter the Dark Forest World, you will see a jungle theme on your slot screen. There will be 3 Captains & a Boss, whom you have to attack in their weak spots. Once their weak spots are destroyed, Spreading Wilds will be placed randomly on the slot reels. During a win match, they will explode along with the win symbols. Then, new spreading wilds will appear adjacent to the position where the previous spreading wild exploded. Ice World : In the Free Spins Ice World, you will find yourself in an ice kingdom. Here, when the captain’s or boss’s weak spots are destroyed, a stack of 2 Heavy Wilds will be placed randomly on the slot reels. They tend to stay on the reels during a win match, awaiting the next avalanche. Fire Lands : In the Fire Lands, you appear to be surrounded by volcanoes and lava. Destroying the captain or boss here, will place 2 to 4 Random Wilds Symbols on the slot reels at random. Spreading Wilds : Spreading Wilds are placed at random on the reels. They can land on top of other wild symbols. When a win situation is in play, the Spreading Wilds get destroyed along with the other symbols. However, new Spreading Wild Symbols will take place on the positions adjacent to the previously destroyed Spreading Wild Symbols. Also, each Spreading Wild Symbol can give way to 2 Spreading Wild Symbols. Heavy Wilds : These will be placed on the slot reels after the next avalanche. They cannot land lower than the fourth row. They can land on top of other Heavy Wild Symbols. However, in cases like this, only one Heavy Wild will be placed on the reels. They don’t get destroyed during a winning combination, instead they remain on the reel for a new avalanche. In case, Heavy Wilds reach the 5th row, they will be instantly destroyed when the next avalanche approaches. However, if they land in between a winning combination, they will complete it before getting destroyed. Random Wilds : 2 to 4 Random Wilds are placed at random on the slot reels. During a win situation, they will be destroyed along with the other symbols on the reels. However, the new symbols, that appear on the position where the random wilds were destroyed, will turn in to wilds. They can land on top of the other Wild Symbols. Monsters : There are two different types of Monsters in each world. They are : 3 Captains & 1 Boss. Each Captain will have 15 Health Points where as the Boss will have 105 Health Points. A monster will be destroyed when their Heath Points reach 0. Captains : Whenever a Captain is destroyed, the action activates the Free Spins Feature of the current Free Spins world. In case, multiple captains are destroyed simultaneously, the feature will be rewarded the corresponding no. of times. The Boss : The Boss has 105 Health Points & only appears on the slot screen after all the captains are destroyed. It has 5 weak spots, in which 2 have 15 health points and 3 have 25 health points. When the boss gets destroyed, the active Avalanche will keep playing until no more wins occur. After this, players will be transferred to another Free Spins World with a set of another 8 free spins. This process will continue as long as a player manages to destroy all the monsters of the particular worlds. A player can visit a world twice, in case the other two worlds have already been destroyed once. Hero Attacks : Each of the super heroes in the game has low and medium win symbols of the same color, that are further used to trigger their Hero Attacks as well as charge their Hero Meter to trigger the Hero Super Attack. After each win on the reels, a hero randomly makes a Hero Attack on a monster to weaken him. The damage dealt to a monster corresponds to the amount of wins on the hero’s low or medium win symbols. Hero Meters : There are a total of 3 Hero Meters with respect to each Super Hero. Each win on the reel will charge the Hero Meter by 1 and a total of 3 charges will fill the Hero Meter fully. A full Hero Meter means that the Hero Super Attack is activated. Hero Special Attacks : Here, the Blue Hero Special Attack deals 1 damage point to all the Monsters present on reel. The Pink Hero Special Attack deals 1 damage point, a total of 4 times, to Monsters that are selected at random. Lastly, the Green Hero Special Attack deals 4 damage points to a single Monster selected at random. NetEnt Sweden has indeed surpassed all its previous casino slots games with this 5 reels and 5 rows cluster pays Wild Worlds Slot game. In this video slot machine, online players find themselves amid new worlds filled with monsters & bosses, being protected by 3 Superheroes that are sitting in an office where all the action occurs. Placing stakes between €0.20 to €400 per spin, you can enjoy a mega win up to 2500x your stake. There are multiple game features that includes the Avalanche Feature, Free Spins Feature, a Destroy Feature & a Hero Wilds Feature. In the Free Spins Feature, after winning 8 free spins, you find yourself visiting different dimensions or worlds, with each of them having their own RPG challenges & battles, that you have to face and win. This action packed slots game has a medium variance and a medium volatility. The RTP of the game is calculated to be a good 96.47%. There are multiple big wins waiting for you in this game if you choose to play for real money at one of the NetEnt Online Casinos mentioned on the site. Prepare your battle gear, as the fate of many worlds is now on your shoulders in this amazing slot game Wild Worlds. 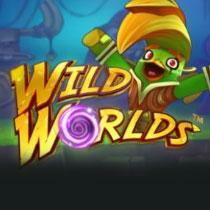 Please enter your review for the Wild Worlds Slot .